San Francisco State University is home to over 25,000 undergraduates, a diverse group with 64% students of color. It is the smallest geographically of the Cal State campuses, but has the fifth largest number of students. SFSU receved 16,000 applications from Southern California applicants last year. About half of the students have transferred from another college, including community college. Fine Arts are strong at SFSU. SFSU has excellent cinema and broadcasting programs, as well as marine biology and human biology. One hundred fifteen majors are offered in the 6 colleges; 11 of them are impacted (psychology, social work, visual communication, apparel design and merchandising, environmental studies and journalism are among the impacted majors). Kinesiology is also a high-demand major, a designation given to programs that may soon be impacted. Business is the largest major, with 20% of the students in this non-impacted program. SFSU also offers degrees in the fine arts, including theatre, music, cinema, dance, screenwriting and animation (but the theatre building looked fairly old to me). 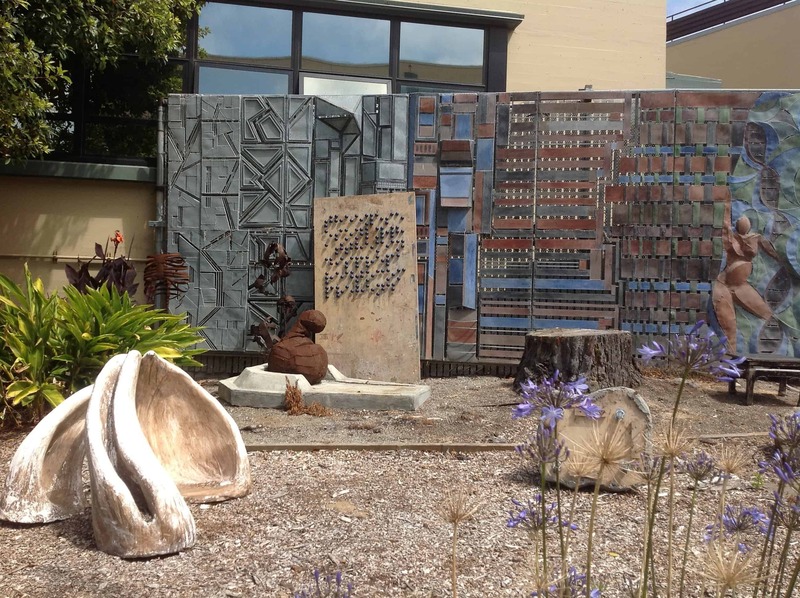 SFSU is the only Cal State campus that offers a Master’s degree in Ethnic Studies. 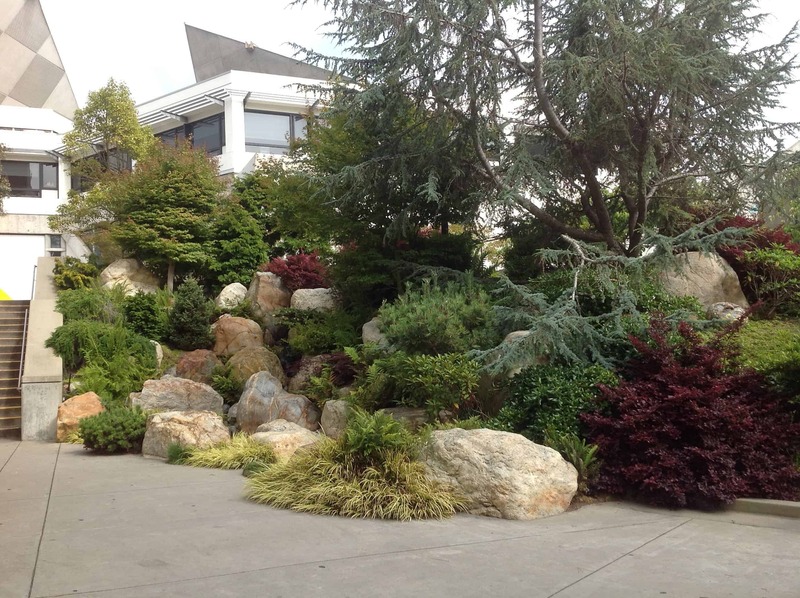 This memorial garden at SFSU honors Japanese-Americans interned during WWII. A complete list of majors can be found here. Southern California applicants must meet a higher eligibility standard than applicants in SFSU’s 6-county service area. The in-area eligibility index is here.